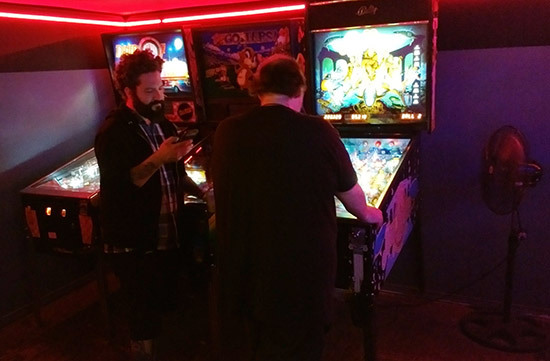 Call it fate, call it serendipity, but whatever it was, it was a nice surprise to stumble over Flip Flip, Ding Ding on the way back from a nice meal at Stellar Pizza in Georgetown, south of Seattle. 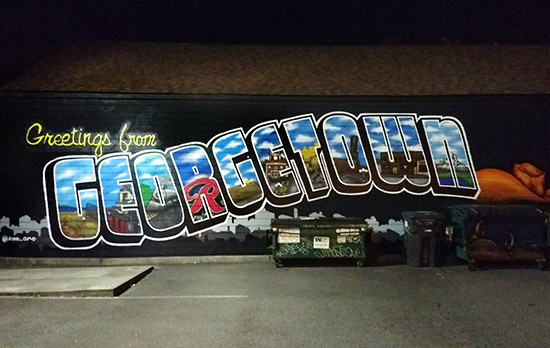 We were staying in Georgetown and using it as a base to explore the greater Seattle region prior to the Northwest Pinball & Arcade Show. Hotels in central Seattle are notoriously expensive, so we picked the Georgetown Inn as a good compromise location. Georgetown is an up-and-coming suburb which has that 'shabby-chic' semi-industrial feel to it. Sitting in the shadow of the I-5 to the east and bounded by Boeing Field to the south, the Duwamish Waterway to the west and the BNSF railroad to the north, it looks rougher than it feels. 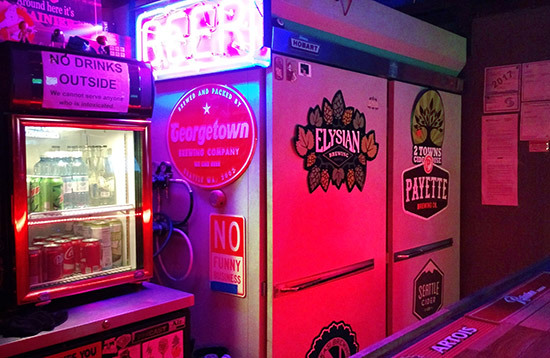 Former home of the Rainier Brewery, Georgetown is now home to several newer beer makers, including Elysian Brewing, Machine House Brewery, Georgetown Brewery, Lowercase Brewing, Counterbalance Brewing and Jellyfish Brewing. 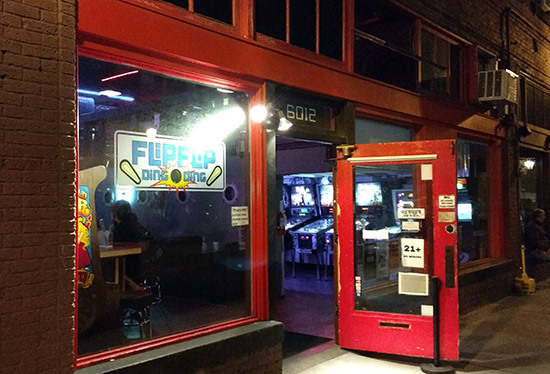 On our way back to the hotel from Airport Way on Sunday night, we spotted what looked like a pinball machine in the window of a distant shop unit on 12th Ave S.
Upon closer investigation, we discovered it was actually the well-known Flip Flip, Ding Ding pinball bar/arcade. We were so unprepared we didn't even have our good camera with us, so please excuse the mobile phone pictures here. We had heard good things about Flip Flip, Ding Ding, so wasted no time investigating what they had to offer. 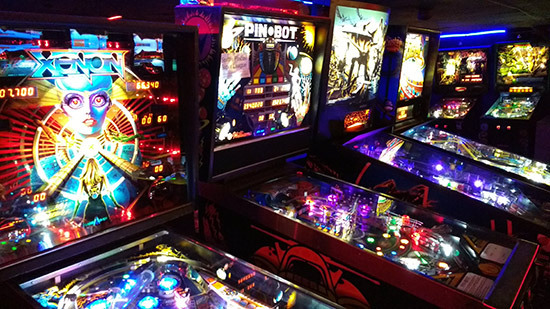 Seattle, like much of the Pacific Northwest of the US, has a seemingly unquenchable thirst for both craft beer and pinball. 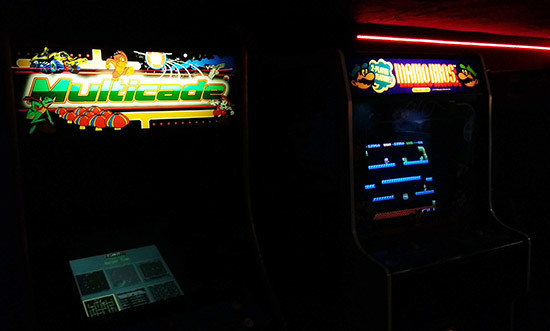 So any bar/arcade hoping to succeed here needs to have plentiful supplies of both. 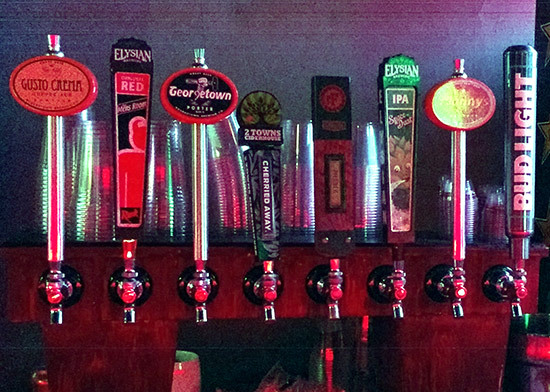 First, to the beer. 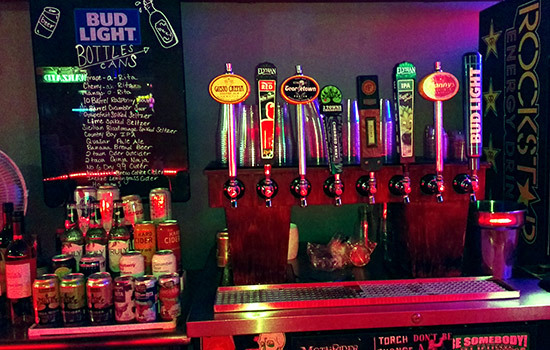 Flip Flip, Ding Ding has eight taps mostly dedicated to local craft beers but with a nod to the staples such as Bud Light. Additional cans are available from their large fridges. 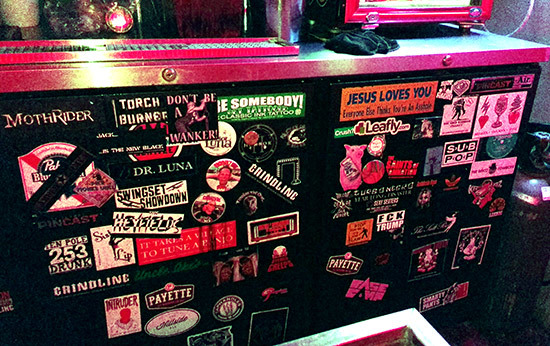 The bar area is suitably functional and characterful, featuring numerous bumper stickers offering words of wisdom to patrons. And so onto the games. 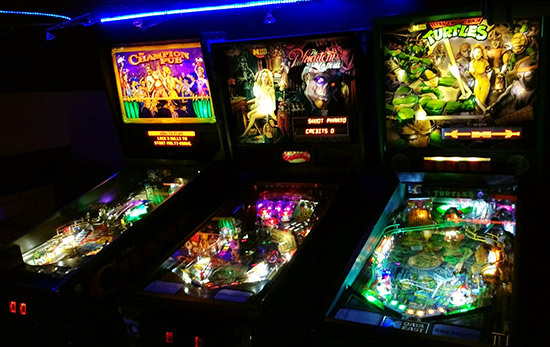 The business's floor area is not huge, so the games are split between two floors with the addition of a side room containing another eight machines. 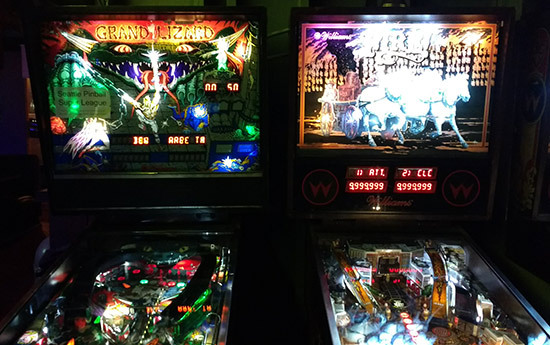 We found the pinballs to be in good condition with reasonable tilt settings and priced even quite conservatively. 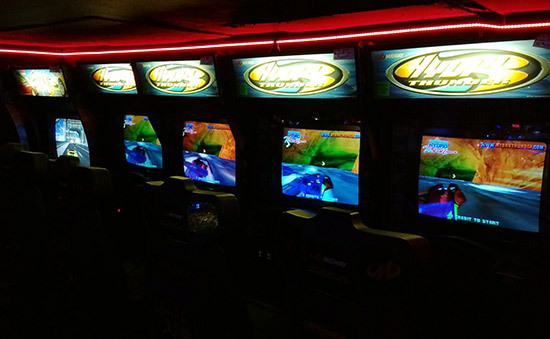 The all take quarters (there's a change machine by the stairs) and were mostly 50c a game. Videos mixed in with World Cup Soccer, Robocop, Black Knight 2000 and Earthshaker! 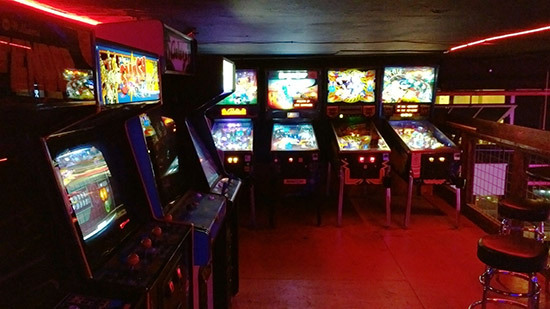 More videos - a multi-game cabinet and Mario Bros.
As befits the area, there's a cool and laid-back vibe at Flip Flip, Ding Ding, with customers spilling out onto the street or just sitting at the bar, ignoring all the games surrounding them. There are plenty of food options at neighbouring restaurants, at the end of the street, and along Airport Way, from great burritos to multiple pizza choices and some solid burger combinations. Although everything is very casual here, if you want something a little more organised they run a monthly pingolf tournament at 1pm on the last Sunday of each month. It's $10 to enter with a limit of 36 players. If you can't make that date, other tournaments are often held here too, along with league meetings. Flip Flip, Ding Ding is an unassuming but welcoming place to visit. 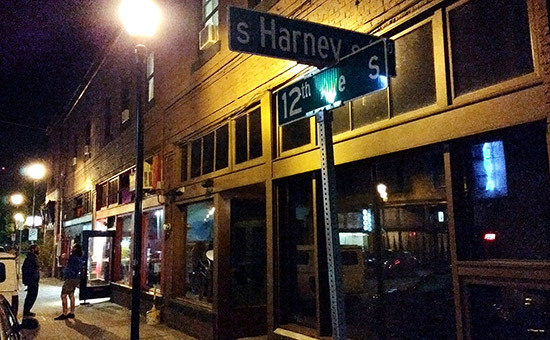 It's a short way outside the centre of Seattle, but a 124 bus or a $10 taxi ride quickly gets you here. 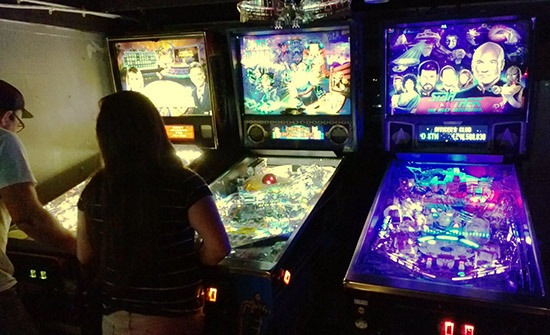 It's the essence of a good pinball bar - great games and great drinks in a truly fun atmosphere.